Much of the existing research analyses on emissions and climate policy are dominantly based on emissions data provided by production-based accounting (PBA) system. However, PBA provides an incomplete picture of driving forces behind these emission changes and impact of global trade on emissions, simply by neglecting the environmental impacts of consumption. To remedy this problem, several studies propose to consider national emissions calculated by consumption-based accounting (CBA) systems in greenhouse gas (GHG) assessments for progress and comparisons among the countries. In this article, we question the relevance of PBA’s dominance. 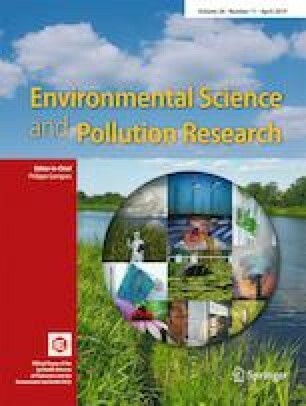 To this end, we, firstly, try to assess and compare PBA with CBA adopted in greenhouse gas emissions accounting systems in climate change debates on several issues and to discuss the policy implications of the choice of approach. Secondly, we investigate the convergence patterns in production-based and consumption-based emissions in 35 Annex B countries for the period between 1990 and 2015. This study, for the first time, puts all these arguments together and discusses possible outcomes of convergence analysis by employing both the production- and consumption-based CO2 per capita emissions data. The empirical results found some important conclusions which challenge most of the existing CO2 convergence studies. The online version of this article ( https://doi.org/10.1007/s11356-019-05007-2) contains supplementary material, which is available to authorized users.